The towns here in Missouri are small and spreaded out, to locate a scooter club in certian areas. I ride alone most of the time. Bought my wife a Honda Rebel, so she can ride with me. She does sometimes. Scooters are not as common around here, as the great Harley Davidson. So I still ride alone, 95% of the time. So when you are scooting, think of me, the lone scooterist. Hi ho scooter away. Hey Scooter49 , I live in Mt. View Mo. , My wife and I ride scooters a lot here and were about the only ones here that do. Maybe we could form a club or something if were close enough. The only power that anyone has over you is only what you give them. 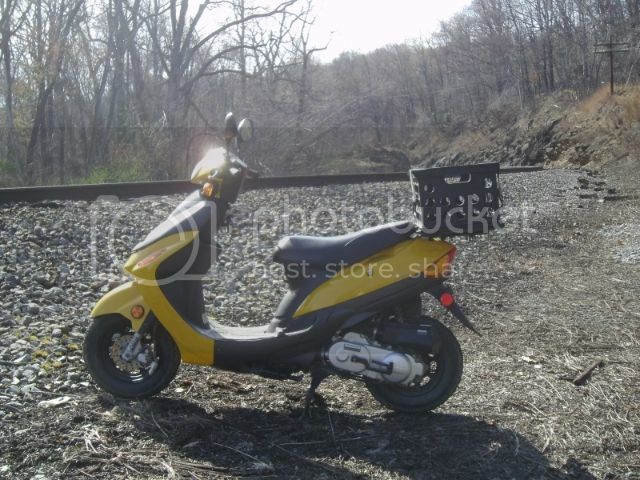 But here in Columbus Ohio, I ride the scoot, mostly alone. Actually I kinda prefer alone also. Can take my time on the back roads, etc. I ride alone and if with some I only side with them at stops. Alone, free to come and go or stop have a coffee. Run the beaches dodge the gators or just eat up the road... just ride us right. I am another lone rider here in western Maryland. I enjoy it as I can ride as slow as I want on the country roads, around the lake and take in my other fun past time of taking pics of trains. Stop and eat\drink when and where I want. Not many people around here ride small scooters and the ones that do don't like riding in the country. here in michigan there arent many scooter riders outside of town so when you live in the country like me you end up riding alone alot. usually the people who do own scoots see them as a tool and are the gas&go type and dont really care to connect with other fellow scooterists like me who actually care about their ride. i tend do go on backroads. sometimes miles on dirt. 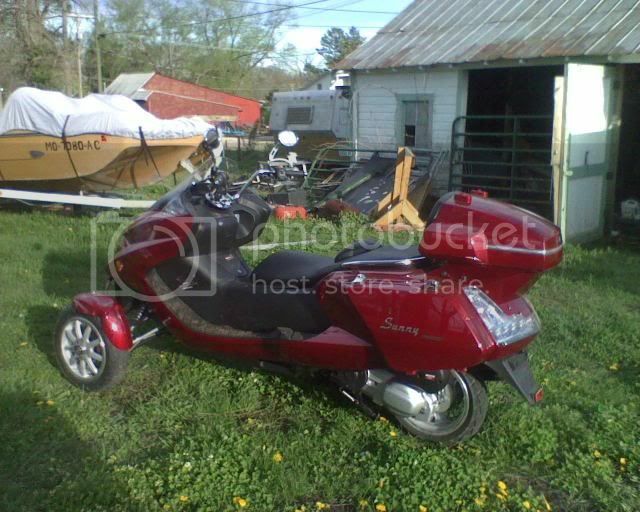 i do know of someone about 2 mi away that owns a large frame 50 similar to twowheeler's scoot but they dont care too much about it as it sits out alot in the weather and once fell over and stayed that way for 2 days. wish there was more people round here that rode scooters, or at least mopeds. could meet up with em. Where are yo located in Missouri. I am in St Charles. I ride alone as well. Only time I have company is things like going to movies with son, sometimes groceries. Most people around here see scoots as a way around and nothing more. I'm kinda a homebody but if I get frustrated with life, I go for a relaxing ride on my scoot. Otherwise, my critters provide my chill power. Belong to MOOT (Magna Owners Of Texas) but never rode with them being in Wisconsin and have since sold the Magna. I have been a member and rode some with GWRRA (Gold Wing Road Riders Association) but didn't enjoy riding with the groups and they didn't have anything else to offer. So I'm a loner as well. There's not many scooters here in Appleton area but they are growing in popularity. I don't know if a club would be viable. im not discouraging a club, but they usually attract immature jackasses. several people have tried starting moped/scooter clubs in a town near me but they usually drift away because people quit coming because of said jackasses. I tried joining 2 local ones and they were all highschoolers that had moped liscences and no actual drivers licence. here in mi you only have to be 15 years old and do a traffic rules test to pass. they would ride around and go across sidewalks or on the sidewalks (illegal!) attracting the police. they also liked removing mufflers and running an open header. most didnt really care about their ride. not enjoyable. riding alone is risky,, i'm not questioning your skills in riding,and how many years you've been riding, but the hazard around you, iv'e heard many incidence of deer jumping on a speeding motorcycle and kicked him down to the ravene, things like that, if these things happened and you're alone in the woods, no amount of AMA, AAA or even AARP can help you...riding alone to walmart or Dollar store is ok, not too far and many people can help you when horrible incidents happen. Riding alone is what two wheelers are all about, whether it's a scooter or motorcycle....if you want to be with a bunch of other people, go to a soccer, or football game. If you just want to drive surrounded by others, take a ride in your car during rush hour. Two wheelers are about 'you and your machine'...not 'you and 10 others' with their machines. Now go find a country road, and enjoy the peace.. I have never understood why I would want to be riding in a herd of bikes, some of them they say are over 50 or a 100 bikes in the herd. Having to do exactly what they do. It just doesn't make sense. sounds a lot like the clubs up here in NY, more interested in bar hopping and riding without a helmet than in actually doing something on a social level so I ride alone. After NASA spent more than $300.00 each, I'm wondering why astronauts need shovels?